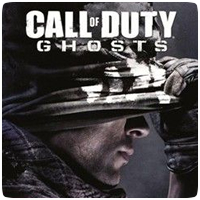 Activision’s latest first-person shooter, Call of Duty: Ghosts, officially releases worldwide tomorrow, but you can download it from the PlayStation Store today, in preparation for the official launch tomorrow. If you’ve pre-ordered the digital version, you can download the game now and you can start playing it from midnight tonight. The digital version is 11.3 GB in size so it’s good that you can download it early and have it ready for launch. A Double XP Weekend will also take place from Friday 8th November 6pm until Monday the 11th 6PM.